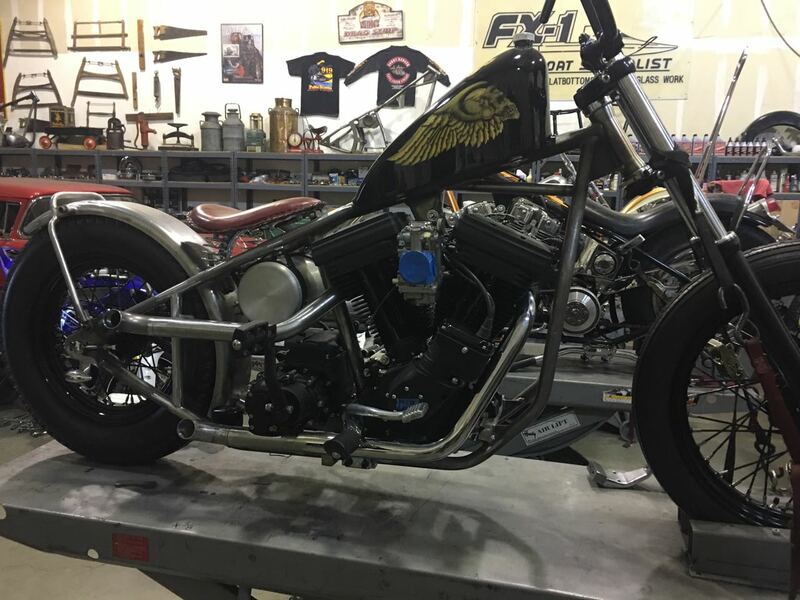 This bike features a oil tank in the rear fender and left side shotgun exhaust as well as 23″ front and 18″ rear black and copper wheels. 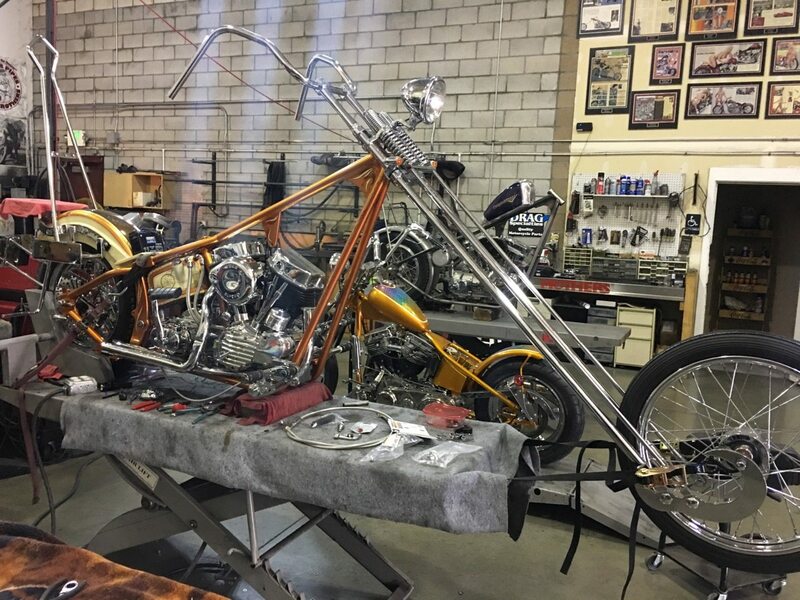 Getting ready for paint and plating. 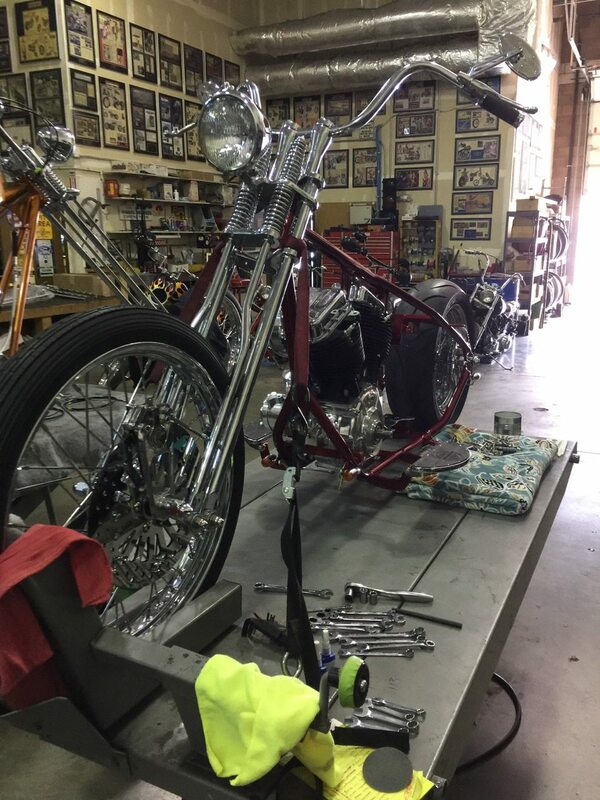 Will be ready for 2017 Sturgis. Hard tail for the streets of Frisco. Blacked out and tough as nails. 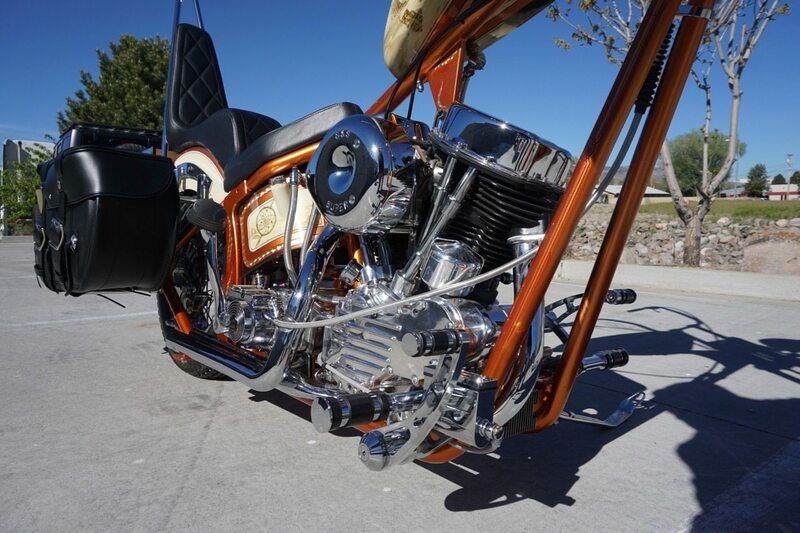 Vince of Flying V Ranch decided it was time for a Denver’s Choppers show-bike after attending a few old school bike shows with his good friend Mondo. 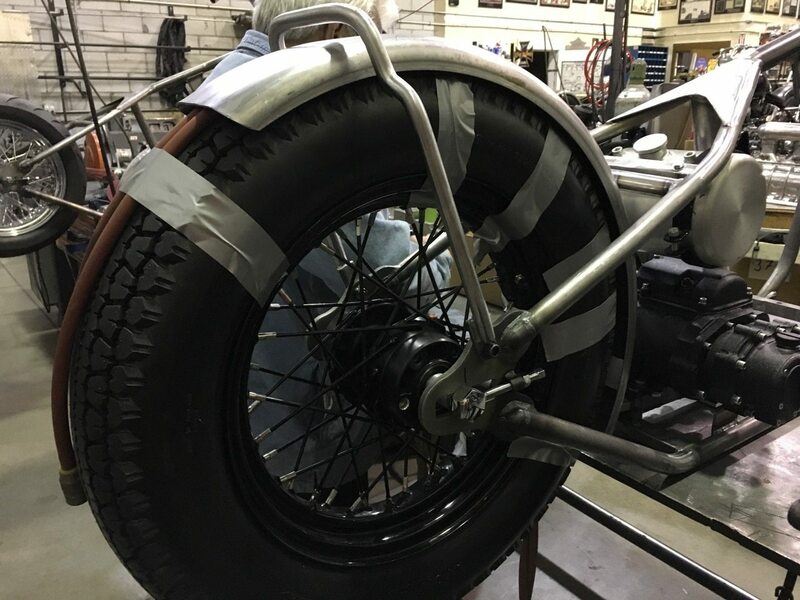 After some preliminary sketches and parts hunting, the fabrication begins… More photos to come. 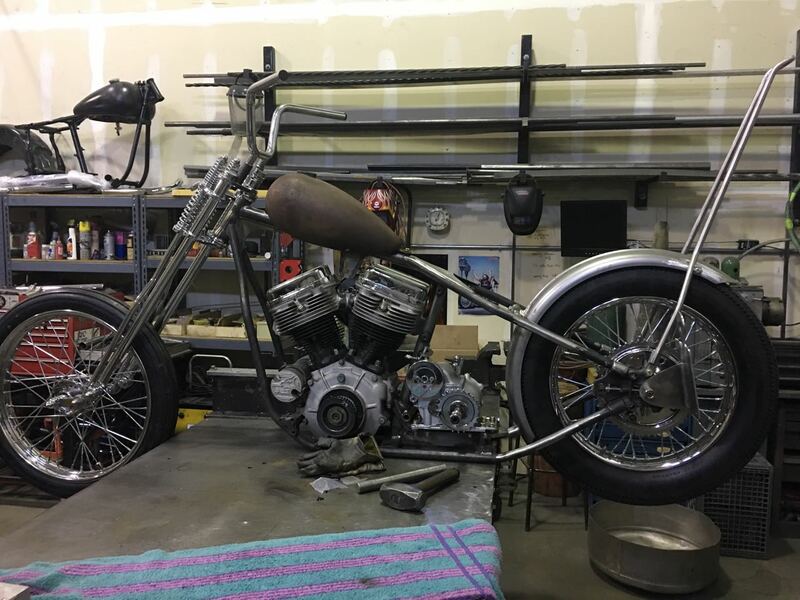 This build will be on the lane-splitting skinny side of mid-sixties chopper style. 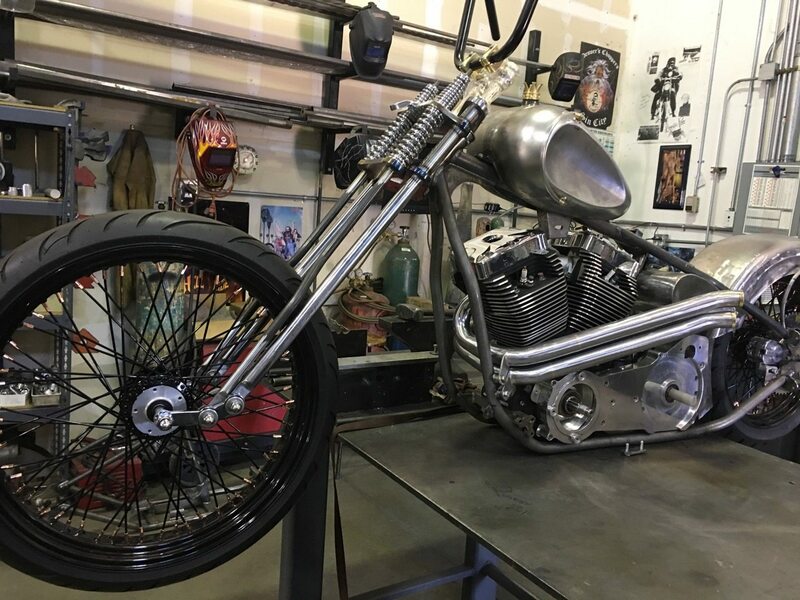 80″ 55′ Panhead with STD heads… More photos to come. Look for this bike cruising the roads of Poland. 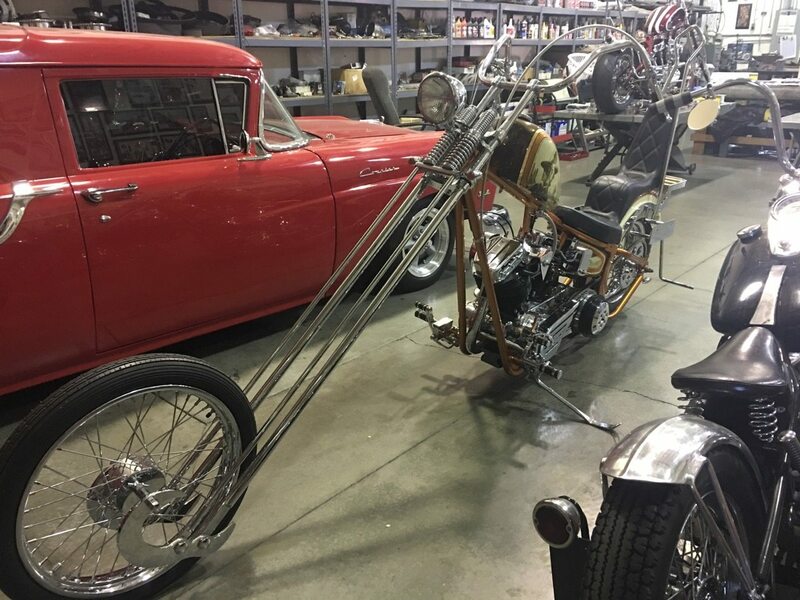 This Panhead Softtail Longbike is wild to put it mildly. Kick only. The only way Clint would have it.